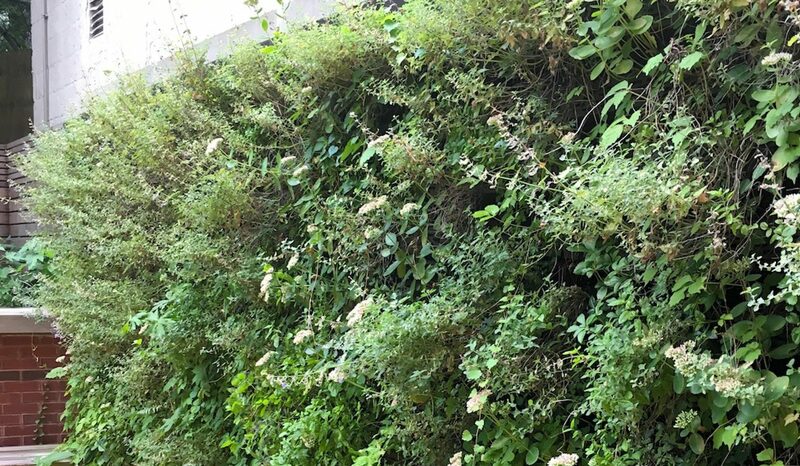 Philly green wall has over a decade of installing and maintaining green walls and roofs We are creators of extraordinary Green roofs and Green Walls. Philly Green Wall and Roof is a single source for design, permitting, installation, and maintenance. We are certified installers of waterproofing systems for green roofs than exceeds all expectations. our Dual membrane CTEM system has an average life of 40 years exposed and can be doubled when installed under a green roof. Leaking will never be a concern with our system. Our team also includes licensed architects to provide all structural and architectural details to insure a properly supported and elegantly designed system. Our green walls not watered down they are 100 % soil based. We don’t use hydroponic systems, since they require constant water flow, pumps, , ect., resulting in much higher maintenance and energy usage. Our latest Green wall patent pending panel design, VERTü is the result of working for years in green wall maintenance, utilizing other companies products, recognizing the problems, and inventing a panel the addresses these issues. The end result is a dramatically reduced maintenance. This panel also reduces lead time by allowing onsite planting to be done with ease. While Pre grown systems do have great root establishment, they require many months to grow, and are expensive and difficult to ship.